The images of severely malnourished children from Madaya that came to light in January 2016 rightly shocked the world. These images also highlighted a critical problem in armed conflicts today – humanitarian access. In Syria, Iraq, Yemen, South Sudan and elsewhere, humanitarian organizations, like the ICRC, face hurdles that make it difficult to reach people in need of life-saving assistance. Sometimes it boils down to politics, despite that the rules of war make clear that parties to armed conflict bear responsibility for meeting the needs of people under their control. As part of this obligation, those fighting wars must “allow and facilitate rapid and unimpeded passage of humanitarian relief.” In addition to politics, environmental or logistical factors may impede humanitarian relief. Whatever the reason, ordinary people caught up in war often suffer if humanitarians can’t reach them. In such circumstances, humanitarian organizations and sometimes militaries have resorted to airdropping aid in recent decades; that is, the release of relief items from altitude over designated drop zones. There are advantages to airdropping assistance – when infrastructure is poor or non-existent, when climatic events render communities temporarily isolated, or when humanitarians cannot reach communities due to insecurity, lifesaving items can be delivered urgently by airdrops. 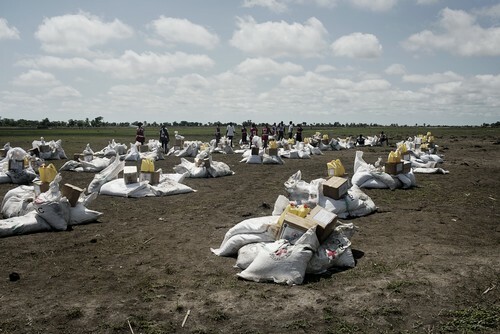 There are many successful examples of humanitarian airdrops that have saved lives, such as the WFP delivery in 2012 of 345 metric tons of food to displaced persons in northern Central African Republic’s Vakaga region, or the ICRC’s airdrops over parts of South Sudan. More recently, some have called for humanitarian airdrops in Syria to aid people trapped in besieged areas. However, airdrops are by no means the ideal way to deliver aid. They pose unique logistical challenges, they are expensive, they can pose risks to civilians’ safety, can be in conflict with humanitarian best practices and – in the long term – can end up causing more harm than good. At the same time, humanitarian airdrops may sometimes be the only way to reach desperate populations. 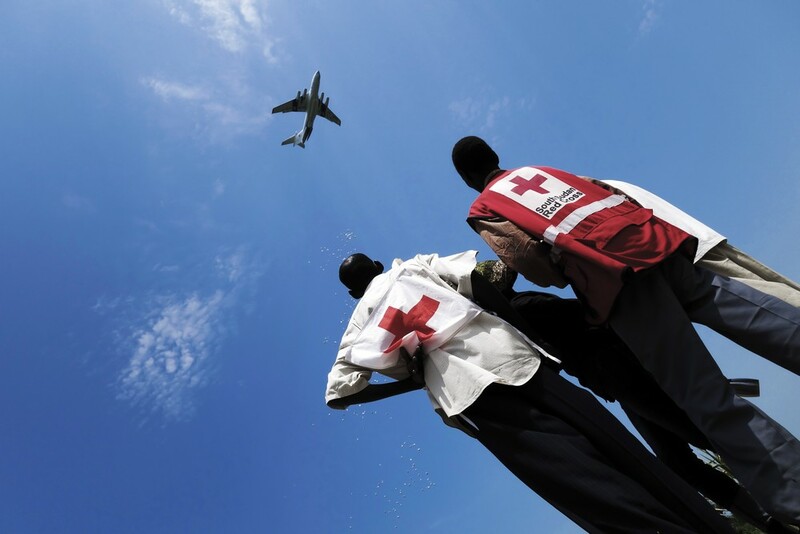 Informed by its deep experience in principled aid delivery, but also its own humanitarian airdrops in South Sudan and Afghanistan, the ICRC believes the following points are crucial when considering whether or not a humanitarian airdrop is appropriate in a certain context. Airdrops should only be employed as a last resort, when there is no other option, and when the affected population is inaccessible by land. Even with such skilled personnel, things can go wrong, as occurred with a recent airdrop undertaken by the WFP over Deir Ezzor, eastern Syria, where an inaccessible besieged population lack sufficient food stocks. None of the humanitarian aid reached the people intended due to technical difficulties which resulted in all 21 palettes being either damaged, off target or unaccounted for. 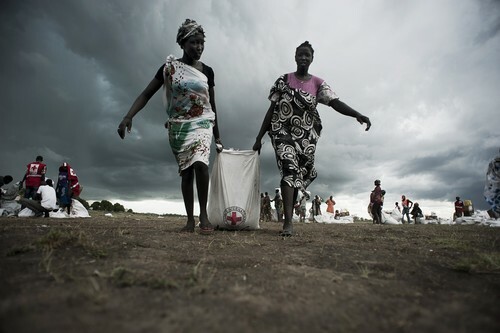 In South Sudan, ICRC staff are on the ground to receive the aid and monitor the distribution, but this may not be possible in contexts where humanitarian access is blocked. The risks of unintended harm are particularly heightened during airdrops, and must be carefully taken into account. There must be some control of the distribution of airdropped items to the persons most in need, and a way to regulate how the assistance is subsequently used. For example, delivering sudden and unsupervised types of food to people who are malnourished or even starving can pose serious risks to life. These risks need to be weighed against delivering nothing by air, or the delay a ground distribution may incur. 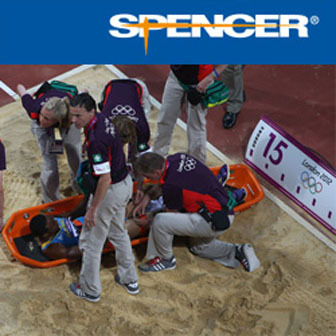 Airdrops may also pose a real physical danger to those in need of the relief; qualified staff, volunteers or local community contacts need to be on the ground to control the “drop zone” to avoid unnecessary injuries and to ensure the orderly, non-violent distribution of the assistance. Another central tenet of humanitarian action is that aid should be distributed to civilians without adverse distinction, or, in other words, impartially. Any organization considering airdrops should closely consider the consequences, short and long term, on the broader conflict. Humanitarian action should never be perceived to be creating the impression that there are “good” or “bad” civilians. This is of course true for the distribution of any sort of aid, but is particularly pertinent for communities rendered inaccessible due to a siege or blockade by a warring party. Humanitarian airdrops are a means to deliver lifesaving assistance in a situation where there is no other option – they should not substitute the need for ground based access to people in need. Aid deliveries are not just about delivering assistance, but can sometimes also be about restoring hope and dignity through contact with the world. Indeed, civilians that the ICRC met in Madaya, Syria in January told our delegates that, the fact they could see them, talk with them and even touch them was as important as the material aid. Humanitarian airdrops should not risk further diminishing the hard-won access of existing ground based humanitarian actors.